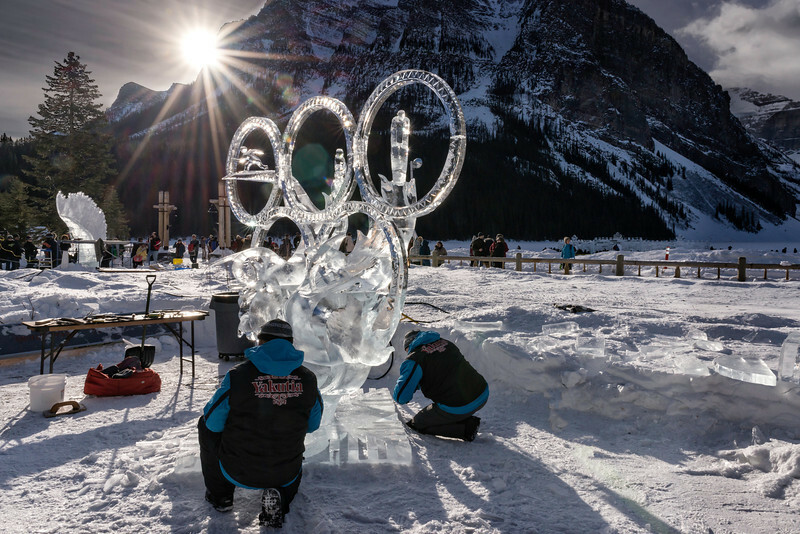 Ice Magic Festival 2014,Hosted by The Fairmont Chateau Lake Louise, this 34 hour competition is the most anticipated spectacle of the Festival. 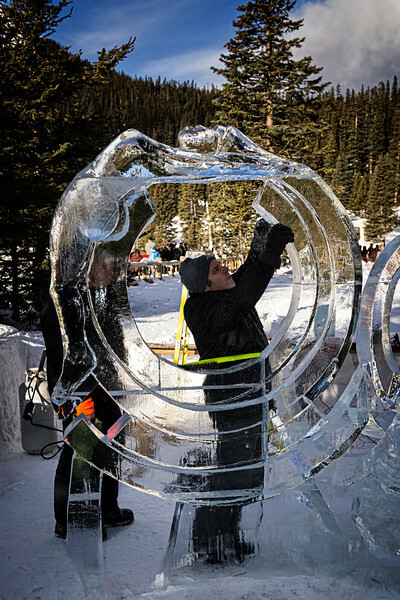 This year's ice carvers are hand picked, by invitational only, as some of the best and loyal carvers from the last 20 years that we've had the pleasure to watch create and execute ice masterpieces. 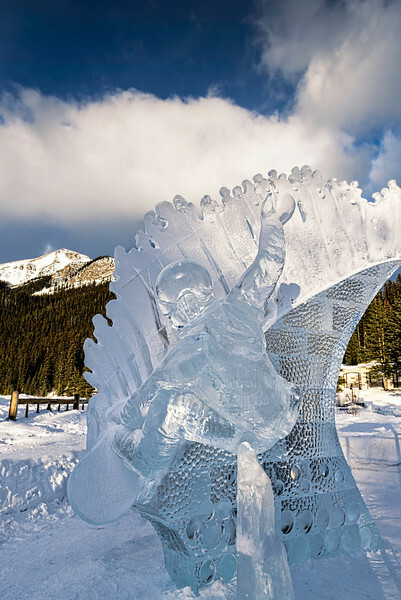 Watch in amazement as Internationally renowned professional ice carvers work to sculpt towering one-of-a-kind works of art from imposing blocks of solid ice on the shores of Lake Louise. 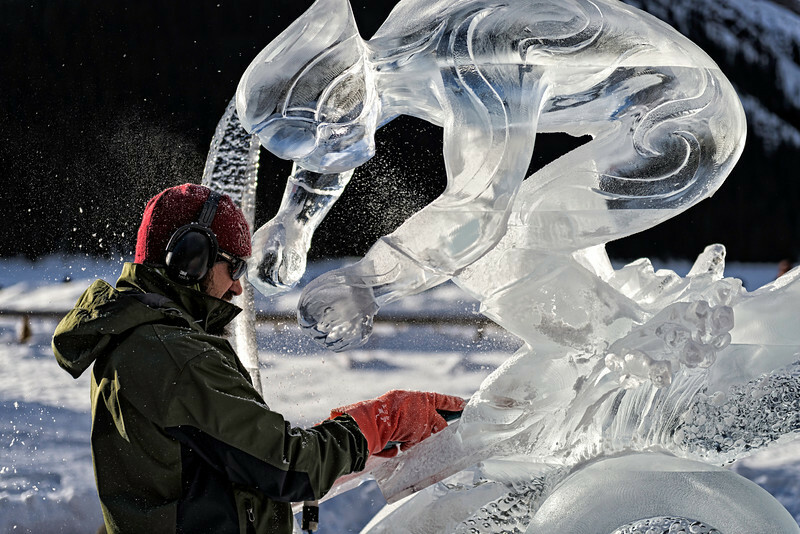 With each ice block weighing a daunting 300lbs, this exceptional art form involves grueling physical labour in a delicate balancing act with precision artistry. In celebration of the Sochi 2014 Winter Olympics we’re going to Freeze Olympic Fever! 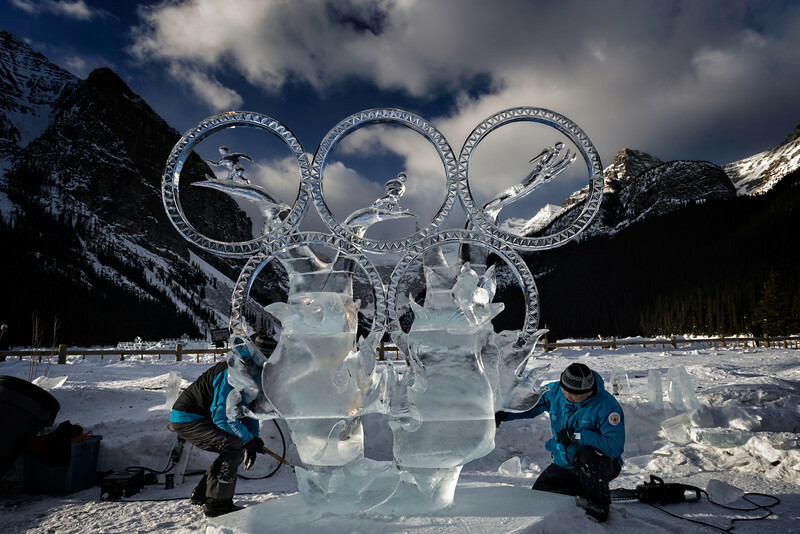 Carvers will celebrate Ice Magic, the “Olympics of ice carving”, by capturing the Olympic spirit in ice. 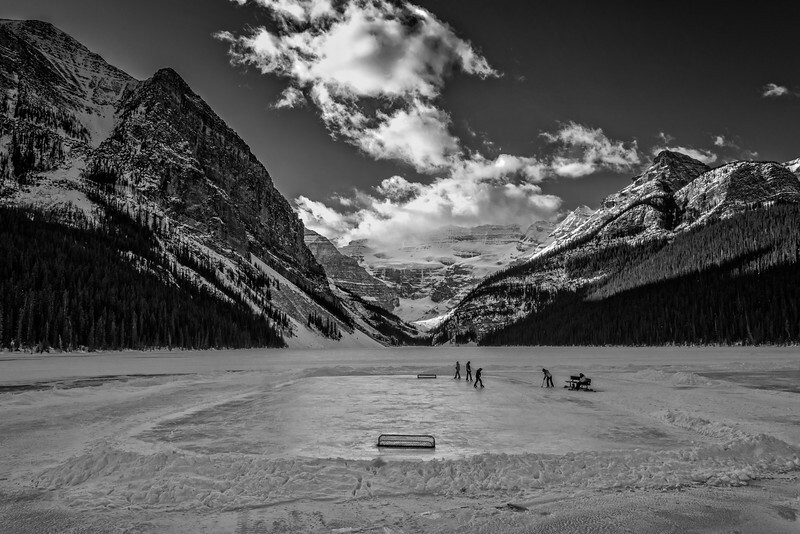 Ice Magic Festival 2014, Guest of Fairmont Chateau Lake playing Ice Hockey, on the frozen Lake Louise. 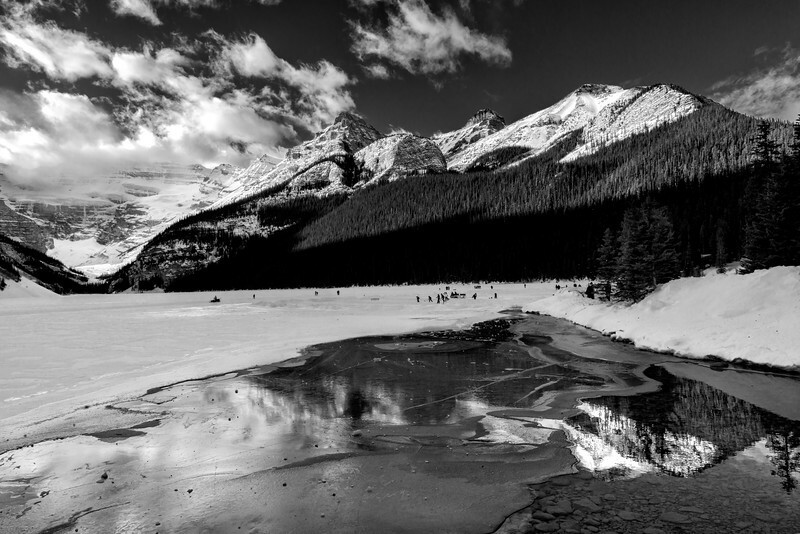 Ice Magic Festival 2014, Reflection of the mountains surrounding Lake Louise Alberta Canada. 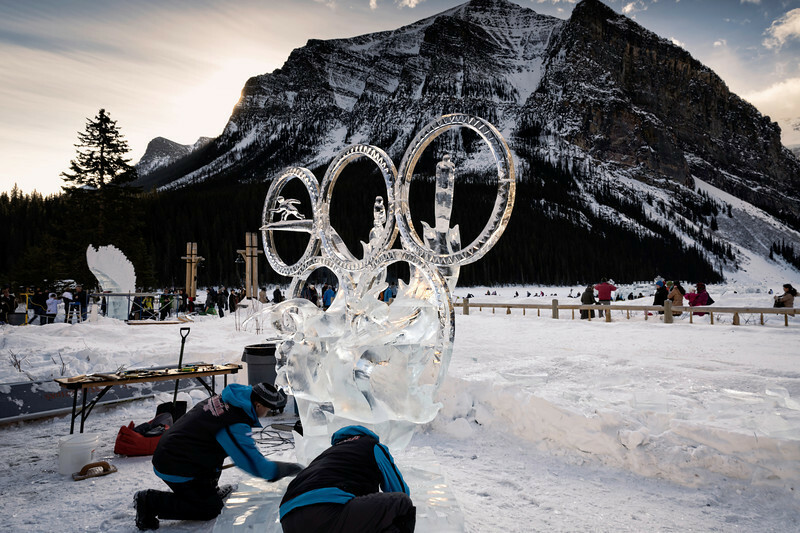 Ice Magic Festival 2014,Hosted by The Fairmont Chateau Lake Louise, this 34 hour competition is the most anticipated spectacle of the Festival. This year's ice carvers are hand picked, by invitational only, as some of the best and loyal carvers from the last 20 years that we've had the pleasure to watch create and execute ice masterpieces. 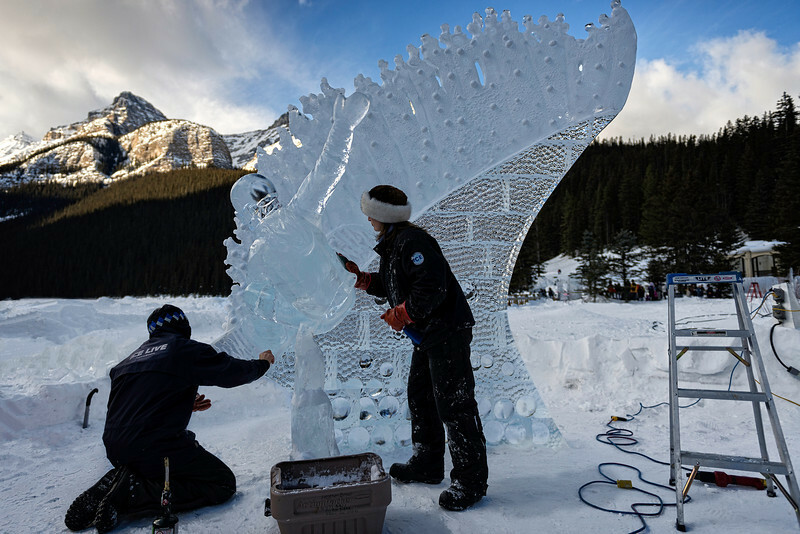 Watch in amazement as Internationally renowned professional ice carvers work to sculpt towering one-of-a-kind works of art from imposing blocks of solid ice on the shores of Lake Louise. With each ice block weighing a daunting 300lbs, this exceptional art form involves grueling physical labour in a delicate balancing act with precision artistry. In celebration of the Sochi 2014 Winter Olympics we’re going to Freeze Olympic Fever! 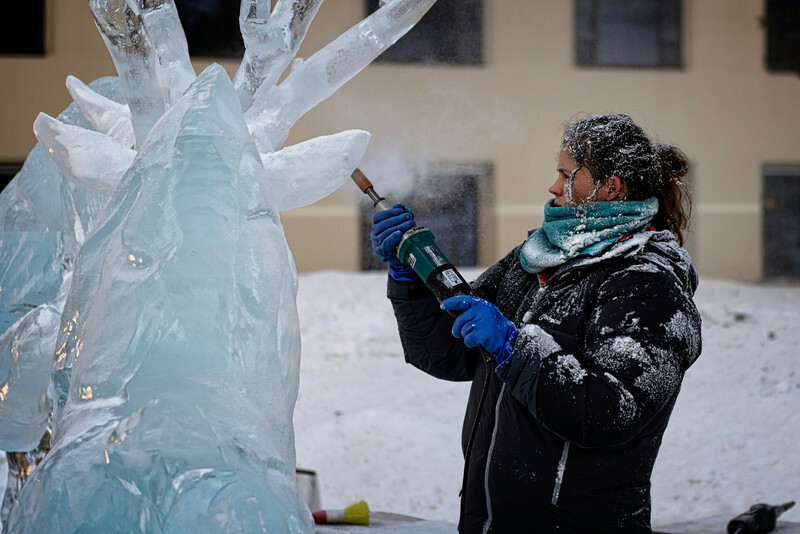 Carvers will celebrate Ice Magic, the “Olympics of ice carving”, by capturing the Olympic spirit in ice.